The Brocast crew is back with another installment of the best of generation 7. From now until the end of summer we'll be breaking down the best of the best of the best that the 7th generation of gaming had to offer. In between we might share our least favorites as well, but hopefully it's all positive. Regardless the 7th generation for many were defined by shooting dudes in the face from the first person perspective, and the following were our favorites. This week The Brocast crew is back with one last E3 related podcast. In our post E3 podcast we go over some of the games we are excited for like The Witcher 3 and Metal Gear Solid 5, as well as talk about the alpha for Destiny, and the beta for Battlefield: Hardline. Plus Chris is back from Italy and talks about how all of that relates to his reactions to Assassin's Creed Unity. The Brocast crew wraps up our coverage of the Big Three by finishing with Nintendo's E3 2014 Digital Event. From how delightful Yoshi's Wooly World looks to how William isn't going to hear negatives about Hyrule Warriors. Phil and Brian go into long exposition about their fond, loving memories of Xenoblade and how that will translate into that game's sequel. Gagan gets to play the role of Captain Buzzkill, because no way in hell does Nintendo get away with making a Mother 3 joke. So how did we feel about Sony? How did we react to Uncharted being teased? What could we possibly have to say about Batman, The Order, and Bloodborne? Lots of things, actually. So many things that for the second podcast in a row, Gagan isn't bothering to do time stamps. Aljosa is still feeling the pain of no Beyond Good and Evil 2, Brian had a delightful day, and Philip had a lot to say. Plus hear us now, and believe us later on Metal Gear Solid 5. Enjoy the show, folks. The Endless Brocast crew is primed and ready to talk about E3 with you all week. Aljosa tries to get over his disappointment over the lack of Beyond Good and Evil 2, Will and Gagan complain about the misuse of Conker, and in honor of Ben we get annoyed that Phantom Dust is a thing again. Not because Phantom Dust is bad(it's not, it's delightful), but because Ben can't be happy if we can't be happy. Also this is only part one for the week, we'll be doing all this complaining and celebrating for Sony and Nintendo. The Brocast crew is back after a one week hiatus to get you prepared for E3. The Brocast Crew has a set of principles and beliefs that are entirely up for sale. The price? Games we want. Mother/Earthbound, more Phantom Dust, new IPs and public speakers with some stage presence. In between, Ben, Aljosa and Justin will dissect new information about games announced before E3. Going over which Crytek announcement has the most potential, some hopes for Forza Horizon 2, and taking a hard line against EA's branding practices. Also, seriously, Ben wants Phantom Dust. Hey everybody, it's another episode of that podcast that gives itself its own accolades. This week is an all Japanse gaming podcast as the crew goes over how the more noteworthy Japanese developers and publishers performed in the 7th gaming generation. Aljosa, Chris, William, and Ben dish out their thoughts on some of the more cringe-worthy tropes found in Japanese games, why some of them struggled commercially for so long, and if chasing "Western" focused games was a good move on their part. In between bashing the likes of Konami and Square Enix, the crew finds time to celebrate exactly what made it so easy to enjoy the works of Atlus, From Software and Platinum. To finish it all off, the crew shows this week on Endless Theater that we're all good sports and are more than capable of poking fun at ourselves. In this case, poking fun at Gagan's expense. The Endless Brocast Crew is back with a new episode of our Endless Brocast. On this episode, we discuss the reveal of Pokemon Omega Ruby and Alpha Sapphire, Gagan getting the Playstation 4 and Xbox One, first world problems and some of the games we've been playing, such as Child of Light and Strike Suit Zero. So join Will, Philip, Justin and the king of first world problems, your host, Gagan on Episode 18 of the Endless Brocast. 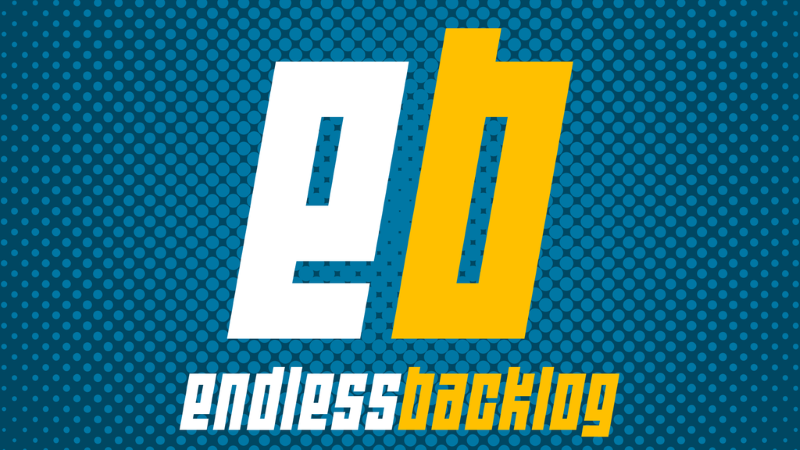 Hey, it's that time of the week again; time for another episode of The Endless Brocast. This is our second entry in our Best of Gen 7 Series, in which the fellas discuss open world action games. We talk about how the genre started, discuss the landmark games in the genre along the way, and debate how the genre was shaped throughout this past generation of consoles. We also discuss why superhero games work so well in this genre, and some of the drawbacks of building set pieces in an open world hub. Gagan and Will argue about the Old West vs. Los Angeles before Phil brings us home with another reading of Endless Fan Theater, or whatever the hell we're calling it. The Endless Brocast Crew is back with another episode of The Endless Brocast. This week, we talk Pokémon. Yes, you read that right. The Endless Brocast Crew talks Pokémon X & Y and we delve into one of the deepest (*ding*) and most nuanced battle systems in gaming, a side of the Pokémon games that rarely sees any serious discussion outside of competitive circles. And, of course, we have another edition of our perennially renamed segment, Endless Fan-Fiction Theater. So join Justin McBride, Brian Margheim and your host Gagandeep Singh for Episode 16 of The Endless Brocast.